What is the best safari destination for your family? Check out our latest blog post to find out! 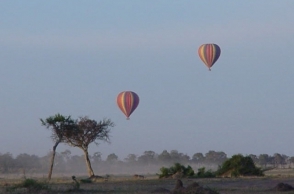 Hippo Creek Safaris is here to design the custom safari of your dreams! Couples, friends, family, honeymoon, and adventure safaris are all our specialty. No detail or request is too small when planning your safari with Hippo Creek - even your favorite drink can be there waiting for you at your sundowner stop following your afternoon game drive! With everything from unique cultural encounters to hands-on experiences in the bush, we can put you in the middle of it all! There is nothing for you to do but arrive & enjoy! From VIP airport services to private aircraft that will zip you around the continent, we can make it happen for you!